*DolceV. * is a simplified version of » *DolceVita*. It is worked from the middle of the neckline downward in stockinette stitch. 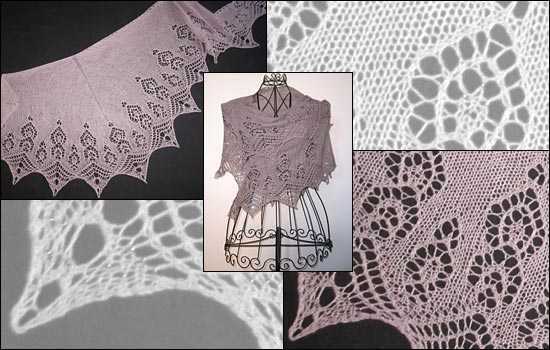 The main part of the shawl blends harmonically into an ornamental lace edging. If you like, enhance the ornaments with beads. (optional: 761 seed beads). If you are new at working with beads, here is a » photo tutorial.